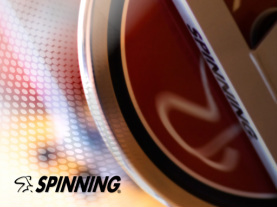 The Spinning® program is the global leader in indoor cycling training, education and equipment. Uniquely tailored to suit a wide range of abilities and fitness goals, the Spinning program and patented Spinner® bikes manufactured by Star Trac® deliver a personalized workout, incredible calorie burn and personal challenge—all at a self-directed pace. When we pioneered the indoor cycling category, we created the Spinning experience. With a distinct core philosophy, sound programming, comprehensive training and a bike designed to fit all shapes, sizes and abilities, the Spinning program has always had one singular goal: to bring health and fitness to every lifestyle. Over a decade of experience and thousands of testimonials demonstrates that our program delivers more than just a great workout—it creates a sense of community, shared purpose and lasting lifestyle change. Of course, if you're looking for a calorie-burning, energizing, fun workout, we can help with that too.